Central Station Marketing CMS has a site traffic section which gives you visibility to individual visitors that come to your website. We rely heavily on Google Analytics or other Analytics packages for aggregated data as well as fancy graphs and stuff. However, these analytics packages do not often give data down to the IP level due to privacy reasons. Another reason we collect our own data is to tie in conversions directly to visitor sessions. 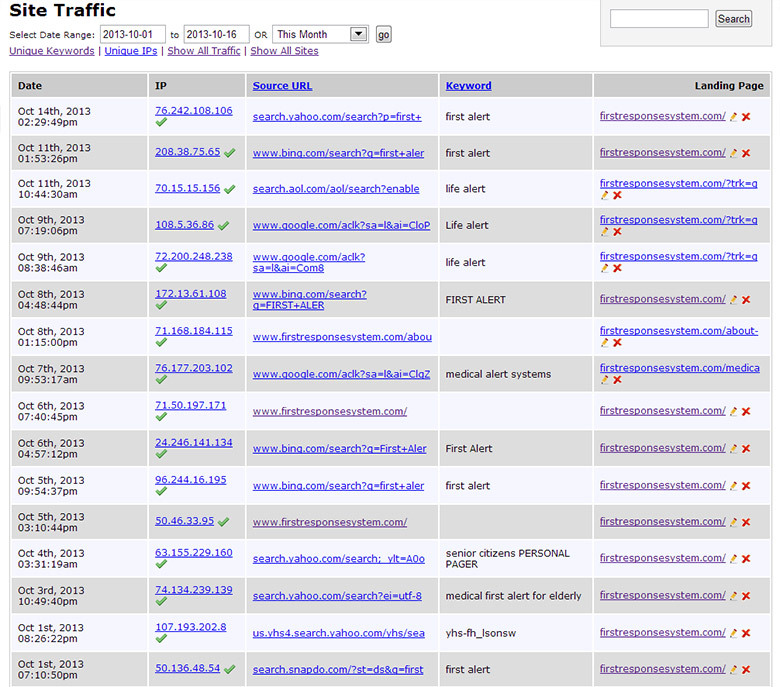 Here we can see the full source URL and the visitor's activity within the site. 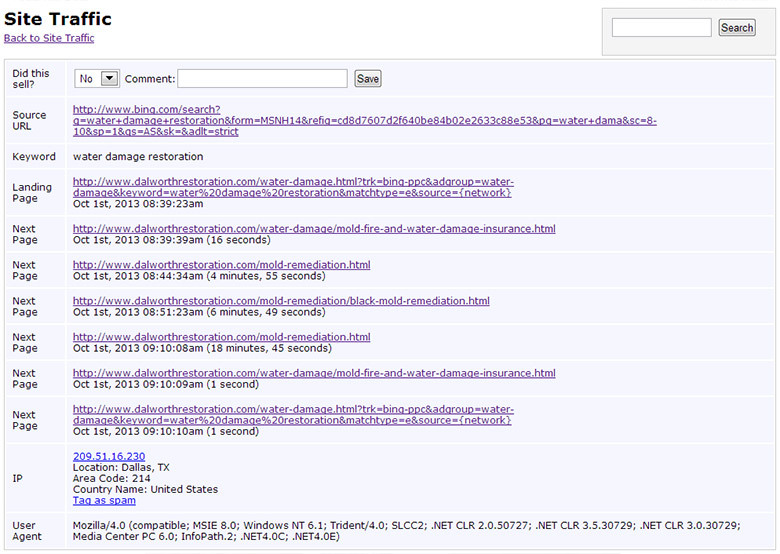 On top of that, we can see the IP address location, user agent, etc. This detailed reporting helps us understand the visitor's activity at an individual level. However, we rely on other analytics package for aggregated data.